One hundred turns is not enough play time to offer a comprehensive review of Amplitude Studio’s Endless Space. There’s simply too much to do and too many game elements to explore. That fact alone should be a good indication of this title’s quality. However, gamers experienced in the sublime pleasures of the 4X space empire sub-genre are probably eager to know if this entry warrants their attention and money. With a full review slated for later this week, I humbly offer the history of my first hundred turns of galactic governance as a baseline for gauging interest. I began my first earnest campaign in Endless Space as an offshoot race of Humanity called “The Pilgrims”. I opted for a medium sized galaxy with four AI controlled races, fully prepared to enter a real estate battle royale. For the first forty turns my civilization was alone in the cosmos. This caused me to make an assumption that would later prove to be my undoing. Because I had not made first contact with another race, I assumed the Pilgrims to be the most advanced sentients in the galaxy. Without grounds for comparison, I expected to find my rate of scientific progress unparalleled. Birth rates were high on all my colonies. I ordered the construction of planetary improvements to generate wealth and prosperity for all. My coffers were perpetually full as I maintained a low tax rate and focused on a small fleet of state of the art ships. Even though I could have hired an extra governor or two, I decided to save my people the upkeep. At our height, the Pilgrim empire stretched out across seven stars and nineteen worlds. Upon meeting the United Empire, the main branch of Humanity within Endless Space, I soon learned the meaning of hubris. While there is no mechanism for overt espionage within Endless Space, contact with the Empire allowed me to compare my overall empire score with their own. The numbers were not encouraging. The Empire had triple the value of my civilization. Despite my discovery of warp drive, a technology that allowed my ships to travel outside of the stellar strings that connect the galaxy, the Empire had me hemmed into a little corner of a spiral arm. Repeated attempts to form some sort of diplomatic relationship with the Empire were fruitless. The AI seemed to respect the works of Sun Tzu in that it saw no benefit in establishing formal relations with a nation so much weaker than itself. Weaker nation? I could hardly believe the words when they appeared on my screen. Though our state of cold war did not permit direct intrusion in the other’s territory, my ships had skirmished with the Empire’s in neutral space. I had won every single one of these battles. During the gorgeously rendered cinematic battle sequences, I watched my ships deploy beam weapons while the Empire’s ships were still mucking about with low grade kinetics. It turned out that those ships, which I so handily destroyed, were just scouts. The AI controlling the Empire centralized its advanced fleet around its core systems. When I finally snuck a warp driven scout ship into the Empire’s border regions, I discovered that their fleet outnumbered mine by a margin of eight to one. With each passing turn I watched the Empire’s territory encroach upon my own. They didn’t even bother with a formal declaration of war. Why should they when the influence of their expanding frontiers would soon engulf my outer colonies; the very colonies that had cost me a fortune in spending programs to counteract the locals’ discontent at being on the periphery of Pilgrim space. There was only one answer to the United Empire’s growth. War. Since meeting the Empire I had enacted a rapid ship building program. I poured half the treasury into quadrupling the size of my fleet. Setting my sights on the nearest two Empire systems, I threw my ships into battle. Annexing my neighbour’s worlds proved a more difficult proposition than I had expected. Subduing a system, planet by planet, takes time. Moreover, none of my ships were equipped with space to ground weapons systems. And then, as if the first few turns of my invasion were nothing but a joke, the Empire turned its attention upon me. They had more ships than I could have imagined. That was the Empire’s real strength. Technologically, we were on par with each other. But where the Empire could afford to trade ships on a one to one ratio, I could not. At turn 109 my sieges were broken and my surviving ships limped back to Pilgrim territory. Given the sheer size of the United Empire’s fleet, I have little doubt that they would have over run my colonies and captured my home system if I let the scenario play itself out. To this critic’s eye, the mark of a good 4X space empire game rests in its ability to lend itself to a player constructed narrative. For example, I still remember my first game of Master of Orion. I remember coming to the Psilons aid when the Bulrathi invaded their colonies. I remember joining forces with the Mrrshans when, despite my best efforts, the Bulrathi conquered the Psilon homeworld. And I remember turning my fleets on the Mrrshans once the galaxy was cleansed of the Bulrathi threat. What can I say, I didn’t want to power share with a race of bipedal cats. After one hundred turns, I can say that I will not soon forget the story of my first foray into Endless Space. Everything about this game, from the truly cinematic space battles to the innovative micro/macro empire management balance, is built around allowing players to add their own back story to the game’s over arcing mythos. Rarely does a game place such trust in its audience. For devotees of 4X gaming, Endless Space is a must have. For everybody else, stay tuned for my full review coming later this week. Want to know more? 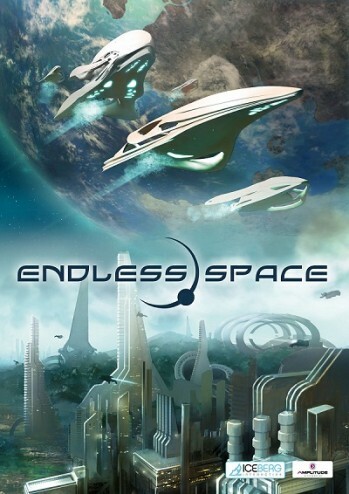 Check out Endless Space on Steam. But are there Bulrathi in this one? No, but there are space Amoebas as a playable race.